Research has highlighted the importance of primary care in improving health outcomes of children and adults. There is growing evidence of the importance of a “Medical Home”, especially for populations with high healthcare needs. The Medical Home includes care which is accessible, continuous, comprehensive, compassionate, coordinated, family-centered and culturally effective. This model was first described by the American Academy of Pediatrics and there is growing evidence of its importance for children. Findings from a U.S. study revealed that children and youth with chronic conditions who have a Medical Home are nearly 50% less likely to experience delays in receiving necessary care and support services compared to those without a Medical Home1. 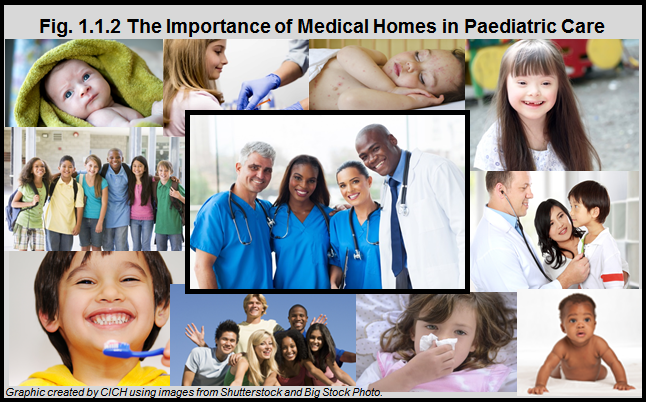 Findings from a systematic review suggest that for children and youth with chronic health needs, having a Medical Home is associated with favourable health outcomes2. These outcomes include effectiveness, efficiency, family-centeredness, timeliness, and equity. 1Strickland B, McPherson M, Weissman G, et al. Access to the medical home: results of the National Survey of Children with Special Health Care Needs. Pediatrics 2004 May;113(5 Suppl):1485-92. 2Homer CJ, Klatka K, Romm D, et al. A review of the evidence for the medical home for children with special health care needs. Pediatrics 2008 Oct;122(4):e922-e937.